Ok, I’ve already covered stop #1 at The Chocolatier, Inc. on our Illinois getaway trip. 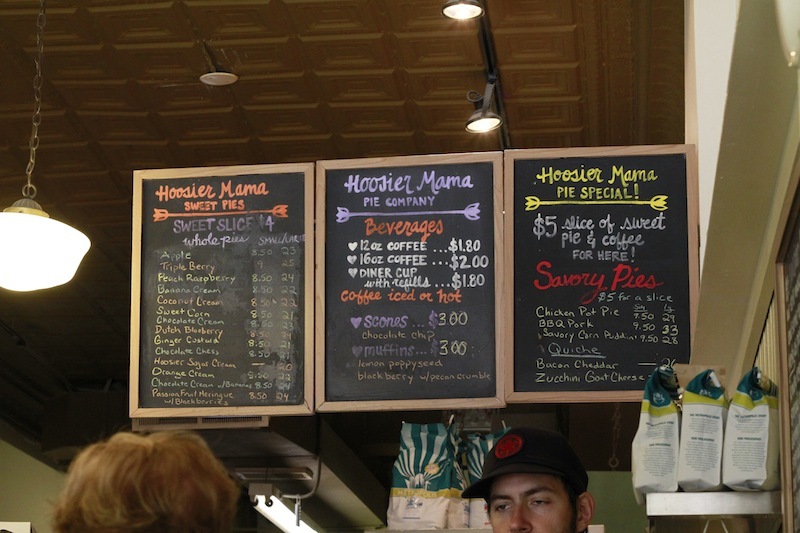 Now we come to our next sweet destination…Hoosier Mama Pie Company in Chicago. 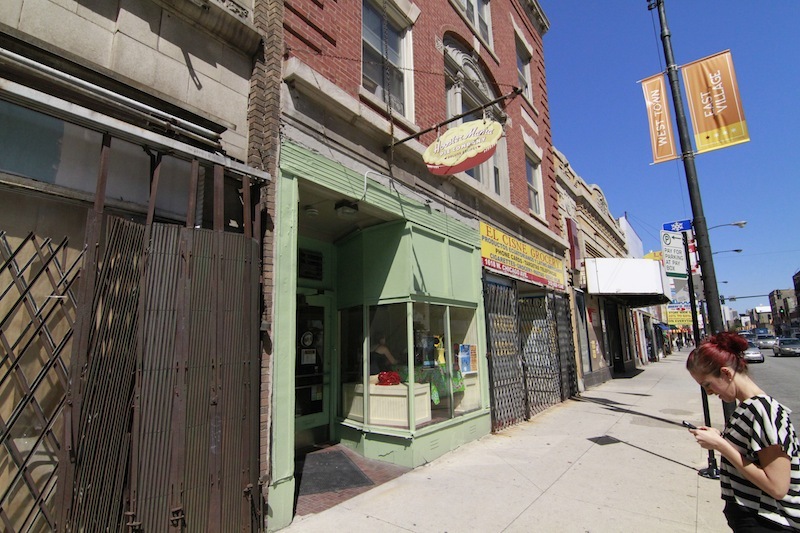 I was SO excited about this bakery because it was the first pie place I have ever had the opportunity to go to–yay! 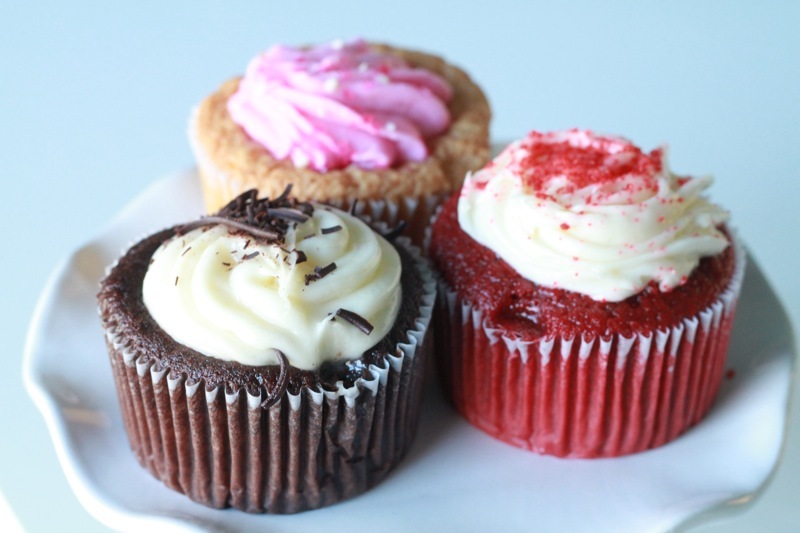 Usually it’s chocolate or cupcakes, but not this time! Since my recent obsession with pies developed, I knew that when planning this trip, I HAD to find a pie place in Chicago for us to go to. And believe it or not there were several that seemed good but this one really stood out and had awesome reviews. First, I have to say that this place literally is a hole in the wall. We drove by it the first time and I swore up and down that I didn’t see it…I mean, I was looking. So, we did another circle, this time going as slow as possible with traffic all around and sure enough, there it was! Luckily, there was a spot open almost right in front of it. So we got in and immediately found ourselves in the teeny, tiniest space…like hard to move and not bump into people. There were a total of three tables and one just happened to be opening up so we grabbed it. And it was chaos from that moment on. 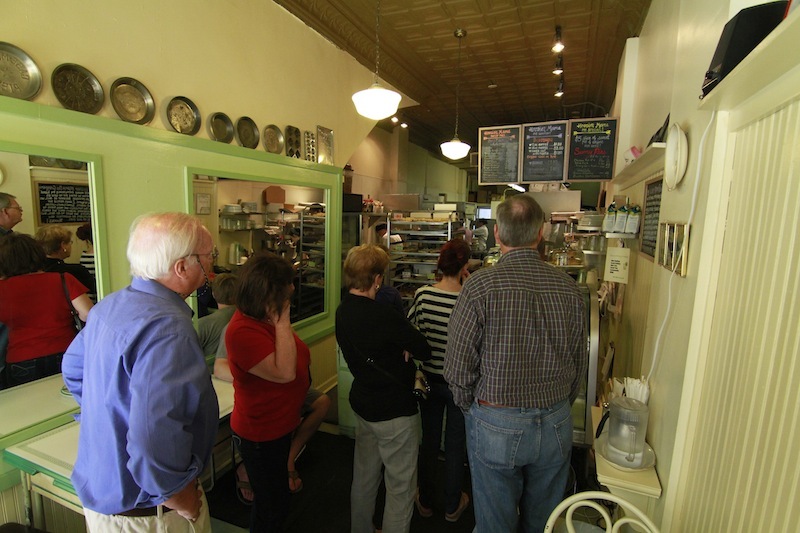 People did not stop coming in the door and it was a little overwhelming trying to choose the pies I wanted with a line forming. 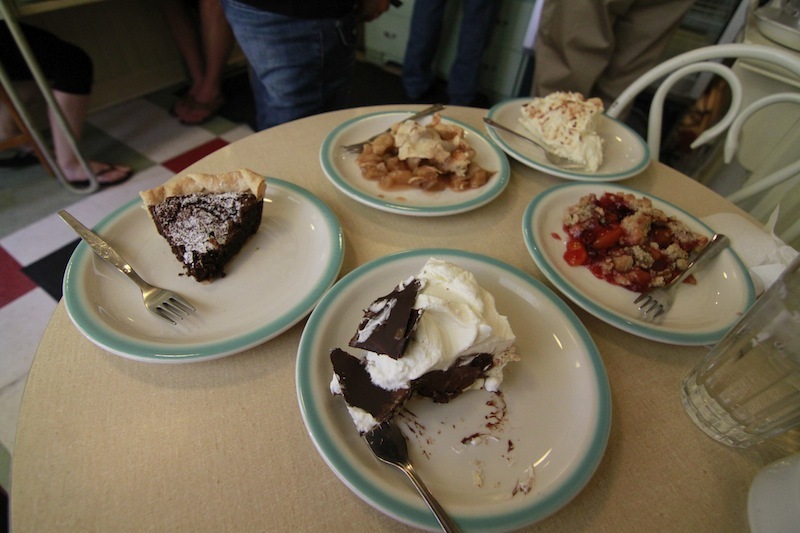 But I managed to narrow it down to five (at $4 a slice it was not cheap!). 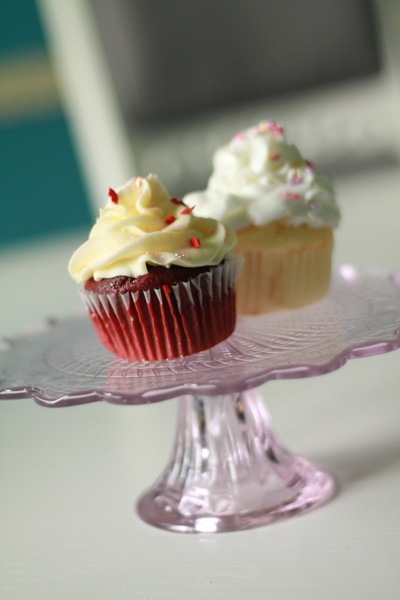 Here’s a little pic of the ones we got. And yes, people DID look at our table like we were crazy. 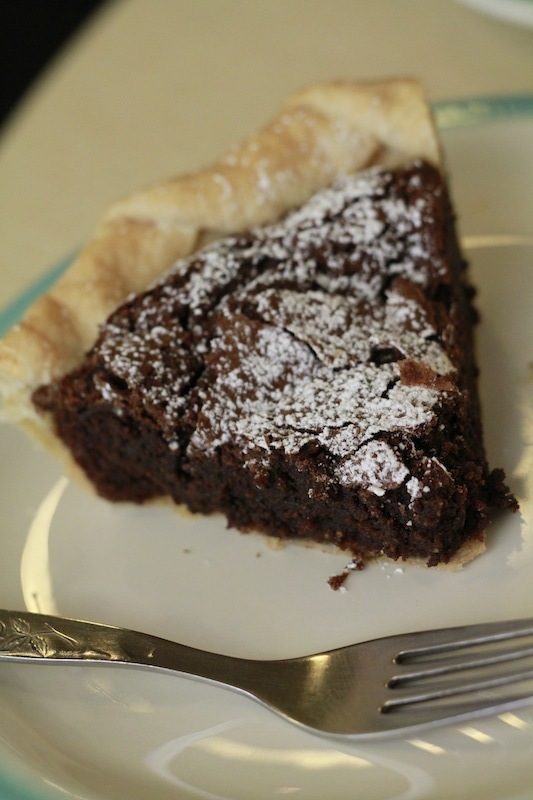 Least favorite, I won’t lie, was the Chocolate Chess Pie. I had been dying to try a chess pie because it was such an old-fashioned thing and I’d never had one. But it was just..odd. Kind of cake/brownie-like and you could definitely tell there was vinegar in it so I wasn’t really a fan. Kind of non-descript to me. 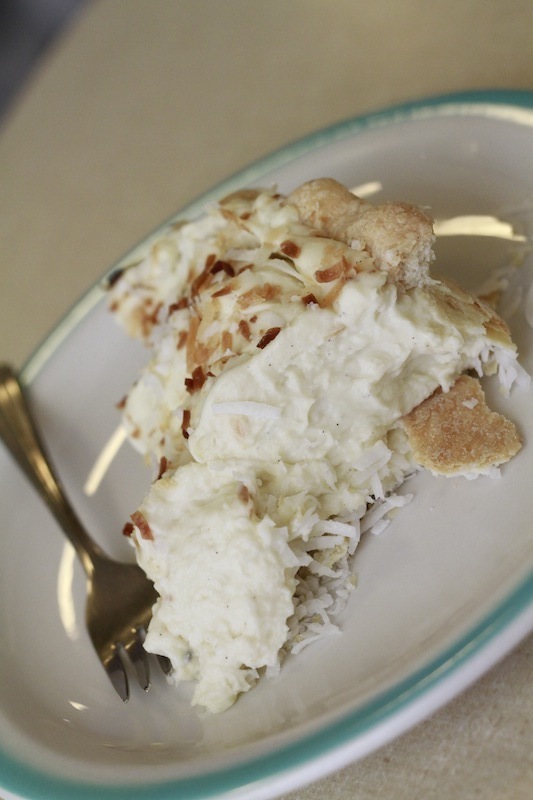 Next least favorite was the Coconut Cream Pie. I just tasted like vanilla bean to me (and I’m not a huge fan of vanilla bean–tragic, I know) with coconut mixed in. So nothing special in my book. However, things got a LOT better with the fruit pies. The Apple Pie was scrumptious. 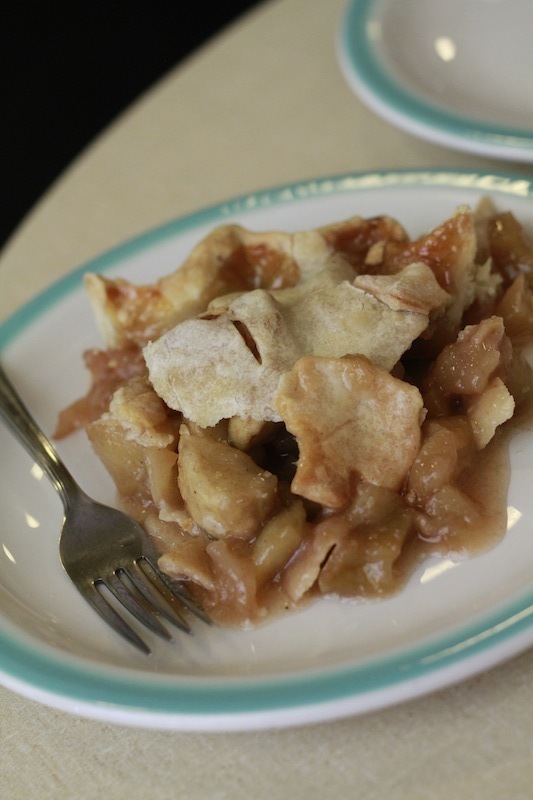 It was like apple cider in pie form. We liked it alot. 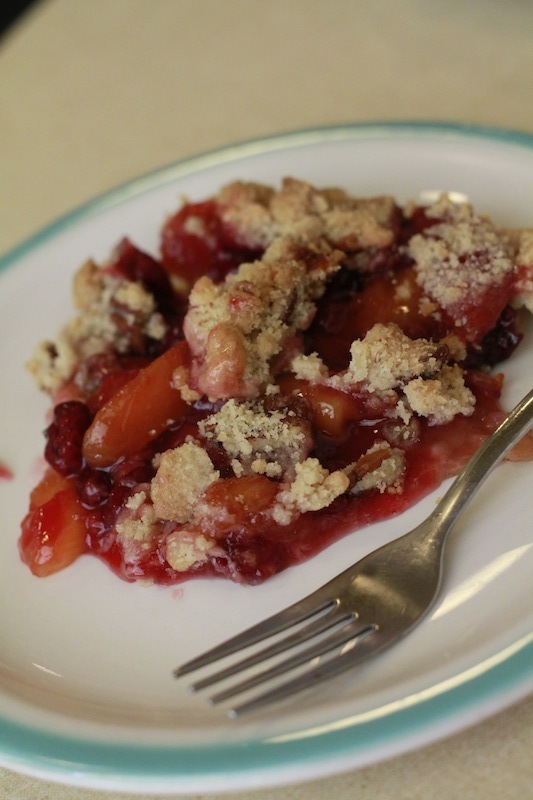 Next the Peach & Cherry Pie was also delicious. It had a pecan streusel topping that was sooooo good. I loved it. 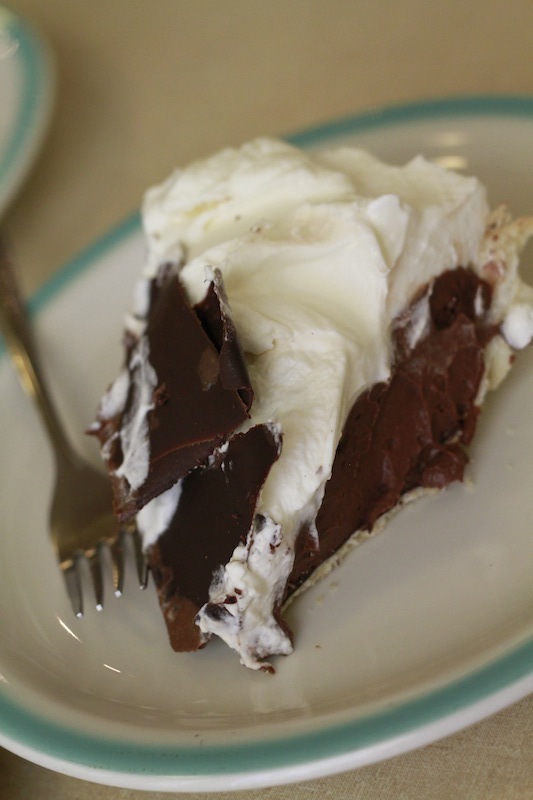 Finally, the Chocolate Cream Pie. It was divine. You could tell it was made with high-quality chocolate and was silky smooth. Jeremy and I both thought it was the best of all of them. 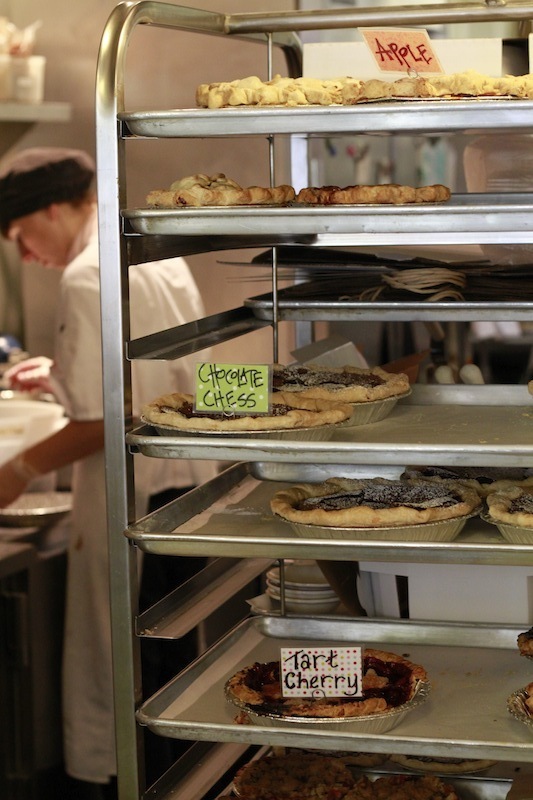 We loved this little pie place and highly recommend it if you are ever in the Chicago area!